The Pisgah Omnium Races, are a series of bike races offered by iDaph Events, known for their unique boutique destination events. 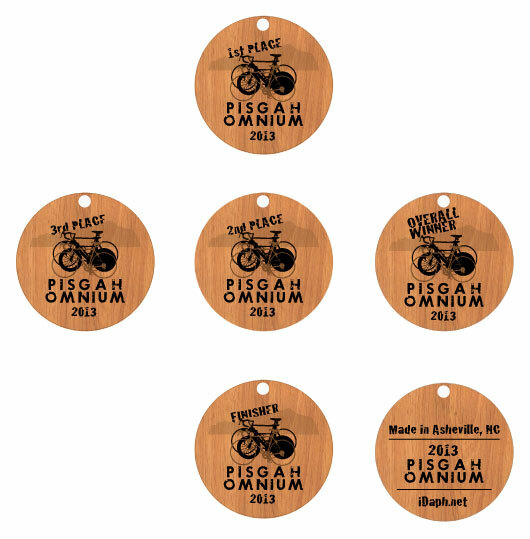 In keeping, I designed these placer and finisher award designs to be burned into wooden disk awards on front and back. June 2013.